Grim Reaper Original Framed Drawing by Little Spooky Studio - This little framed reaper is too adorable, and he or she is framed by their favorite items like ghosts, bats, and autumn leaves. 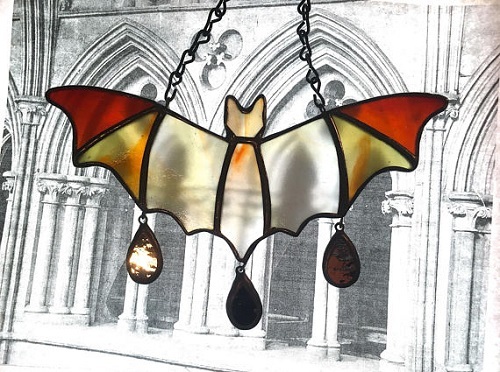 This little darling would make a welcome addition to anyone's spooky home. Order of the Good Death Neon Tote Bag - Show your death positivity with this tote from Order of the Good Death; I love the neon effect and the coffin smack dab in the middle, plus purchasing this will support Order of the Good Death, which encourages education and discussion surrounding death. 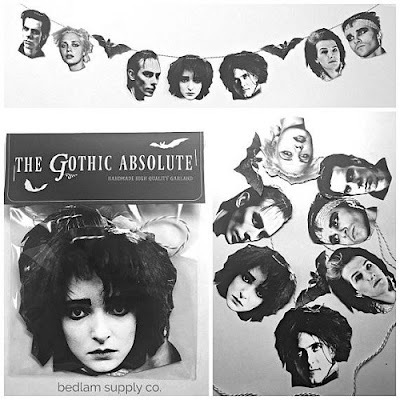 The Gothic Absolute - Goth Garland Banner by Bedlam Supply Co. - I absolutely adore this banner featuring Siouxsie, Robert, Dave, Nick, Andrew, and more goth legends (plus bats)! 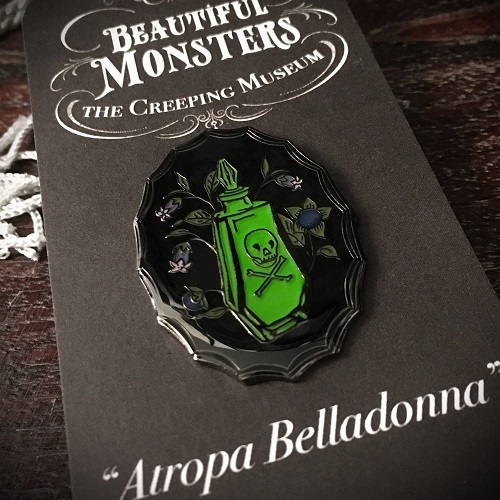 "Atropa Belladonna" pin by The Creeping Museum - “It is our memories which make us monsters, is it not?” I do not collect pins, but this one holds a special place in my heart since a portion of proceeds go to Alzheimer's research (my Nonna suffers from Alzheimer's and I've seen firsthand what an awful, evil disease it is). 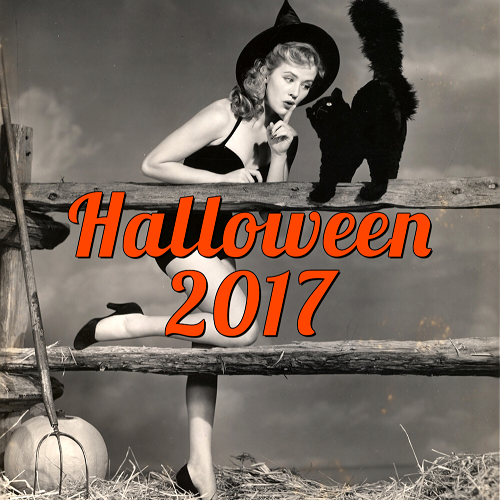 Plus, I love The Creeping Museum since they always give back some of their proceeds to the community or non-profit organizations. 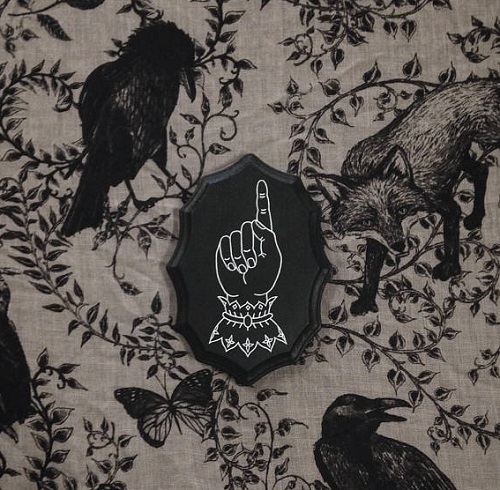 It's the last chance to grab this pin, so hurry before it's gone for good. 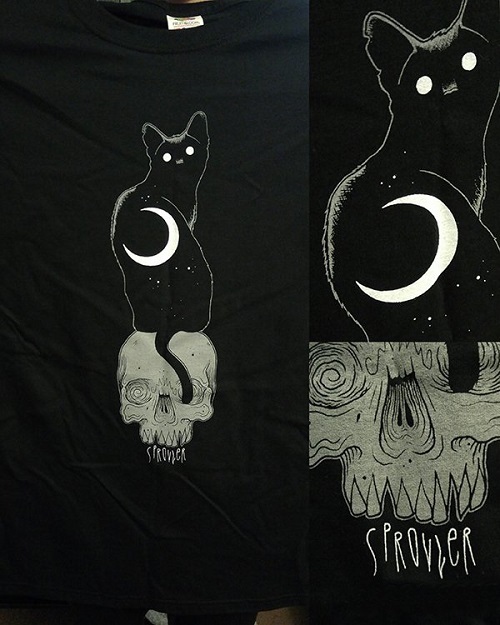 Sprouloween 2017 Shirt - I love Jon Sproul's artwork (I got a rad bat tattoo from him last year), and this limited edition t-shirt he released around Halloween would make any darkling happy. Skeleton Yoga Mat - I NEED this yoga mat that has little skeletons doing yoga all over it! 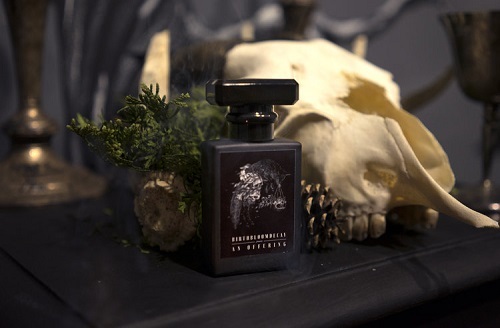 "An Offering" Perfume by BirthBloomDecay and Dylan Garrett Smith - This perfume is cruelty-free and vegan, and its scent profile sounds like pure perfection, like walking in a dying autumn wood. It is the scent of smoke, dead leaves, labdanum and moss. 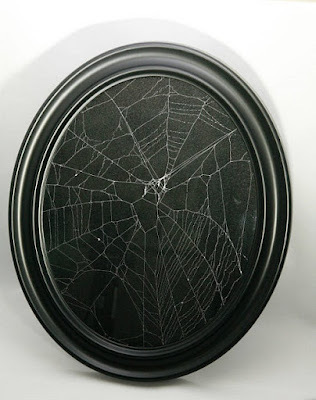 Framed Real Spiderweb by HalfEmbalmed - I know these spiderwebs have been popular for a while now, but I swoon every time I see them. I love the thought of these lovely specimens gracing my walls. Sourpuss Bat Wing Wallet Black - Everyone needs a wallet, why not make it a spooky one? 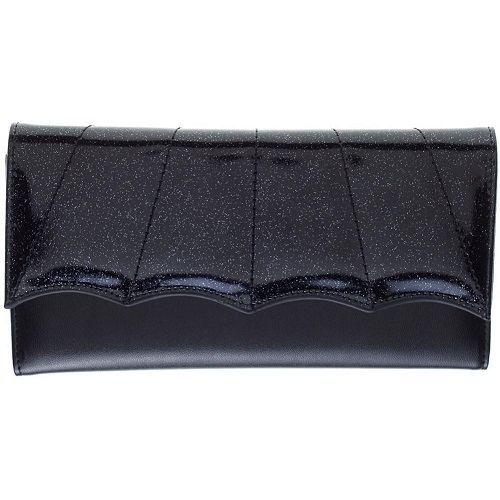 This Sourpuss Clothing wallet is a glittery black, vinyl, bat wing design that will surely please your inner Morticia. 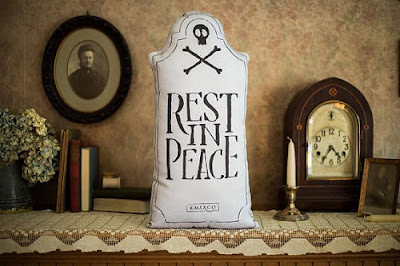 KMSxCo Rest in Peace Pillow - All of Killing Me Softly's pillows are incredible, but I adore this limited edition handmade "Rest in Peace" gravestone pillow! 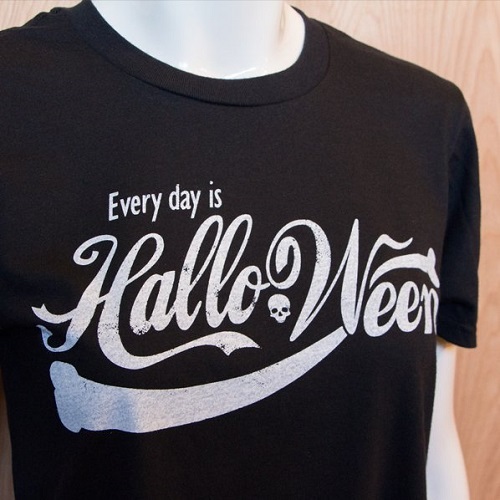 These tend to sell out fast, so make sure to snag it if it is still available! Drklght Clothing Foolish Mortal tee - I love all of Drklght Clothing's designs, but this Haunted Mansion-inspired tee is one of my faves and would surely be a hit with fellow Haunted Mansion lovers. 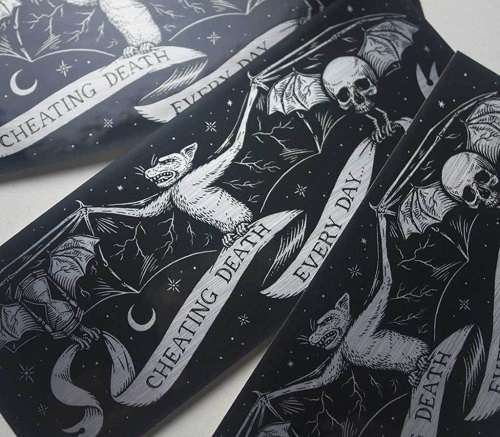 "Cheating Death Every Day" sticker by Cat Coven - I love the strong statement this sticker makes; even though we may face struggles every day, at the end of each day we didn't give up and lived to see another day. 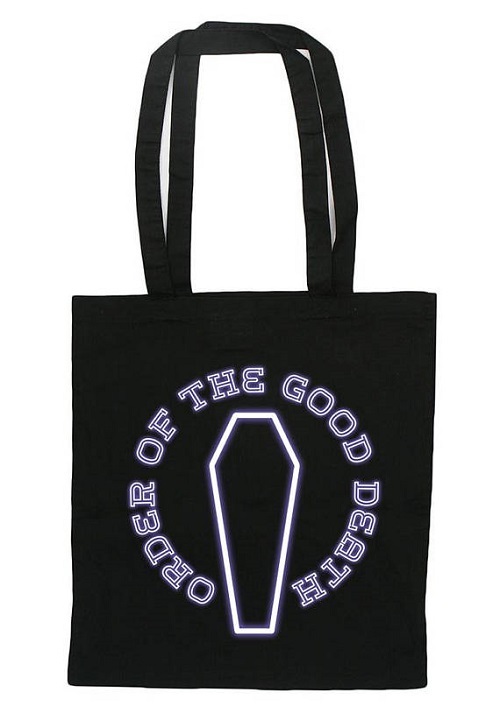 It's such an uplifting, empowering message all wrapped up in an incredible design. Victorian Black Plaque by Death Follows - These hand-painted wall plaques by Death Follows are inspired by Victorian gravestone imagery, and they are just beautiful. 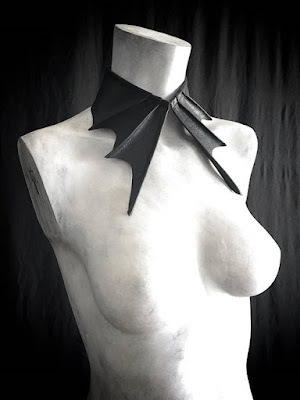 Bat Wing Choker Collar by The Pale Corvus - This gorgeous cruelty-free and vegan faux leather bat-wing choker has a Jack Skellington vibe to it. 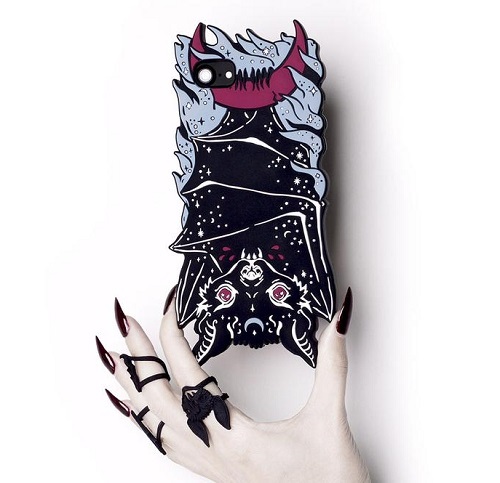 Vamp Bat Phone Case by Rogue + Wolf - This creepy-cute little batty phone case would look perfectly at home in the claws of your favorite gothling. Everyday is Halloween tee by Goods and Evil - This would have been perfectly appropriate for my Ghoulish Gift Guide for Halloween Lovers I posted last week, but I feel it is a nice fit here, too. Abyss Lipstick by Black Moon Cosmetics - Black Moon Cosmetics' lipsticks are pretty much the only lipsticks I wear and with good reason! 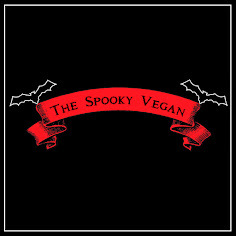 All their cosmetics are vegan and cruelty-free, yay, and I love the long-lasting wear on them as well as the colors they have. 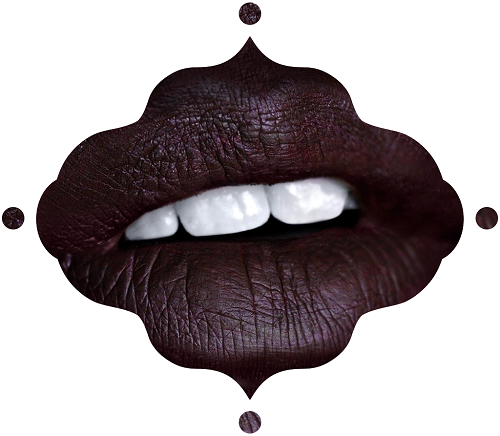 I am loving this shade, called Abyss, which is a dark wine color. 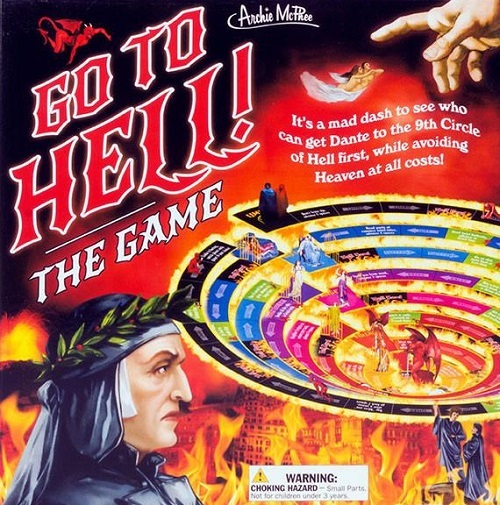 Go to Hell! 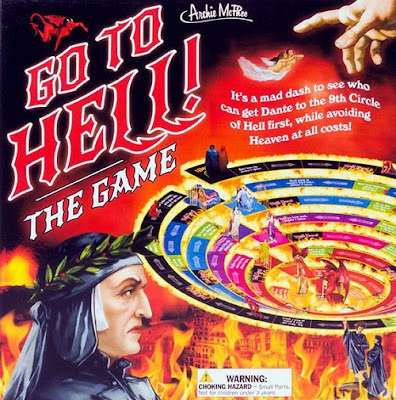 board game - This game takes players on a descent into Dante's Inferno, which is intriguing in of itself, but who can really resist a game with that name?! 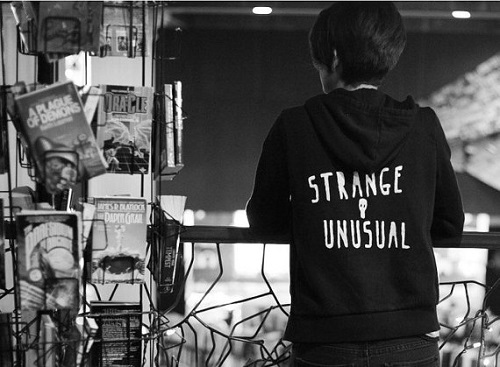 Strange and Unusual Hoodie by Creepy Cousins - The first time I saw this hoodie at this year's Spook Show (read about that Halloween marketplace HERE) I knew I had to have it! It is still one of my faves and one I know others will love! Vintage Hallowe'en Candy Corn Bat - Stained Glass by Riven Barrow Glass - This will probably be sold out by the time you read this, but Riven Barrow Glass has plenty of other stunning, hand-made stained glass pieces in their shop. 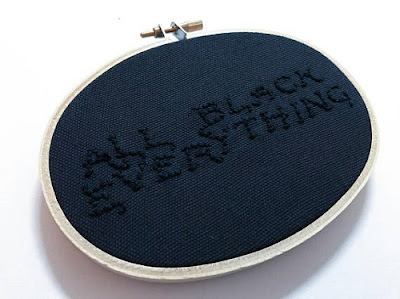 All Black Everything by InterestinColors - This cross stitch expresses the much-loved goth mantra. All black everything forever and ever. 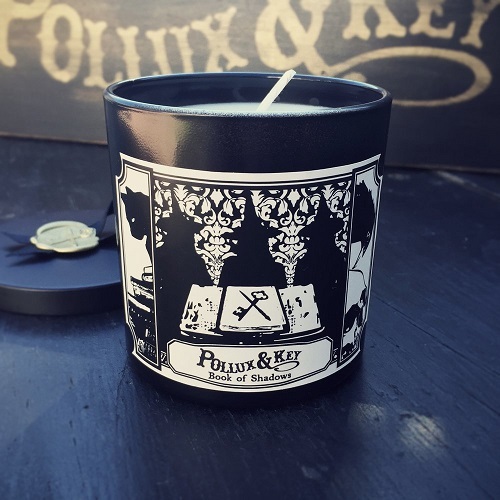 Pollux and Key "Book of Shadows" Soy Candle - "In the attic, buried beneath a century of daguerreotypes and odd collections, rests a weathered spell book, bound in burnished leather, waiting to be discovered." 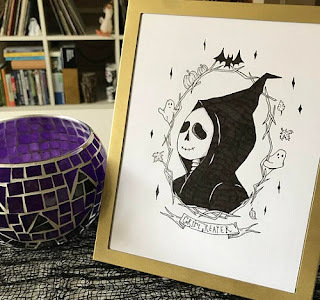 I love the description of this scented candle, as well as its witchy artwork. 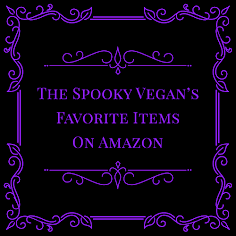 This candle, and all of Pollux and Key's handmade items, are cruelty-free and vegan. 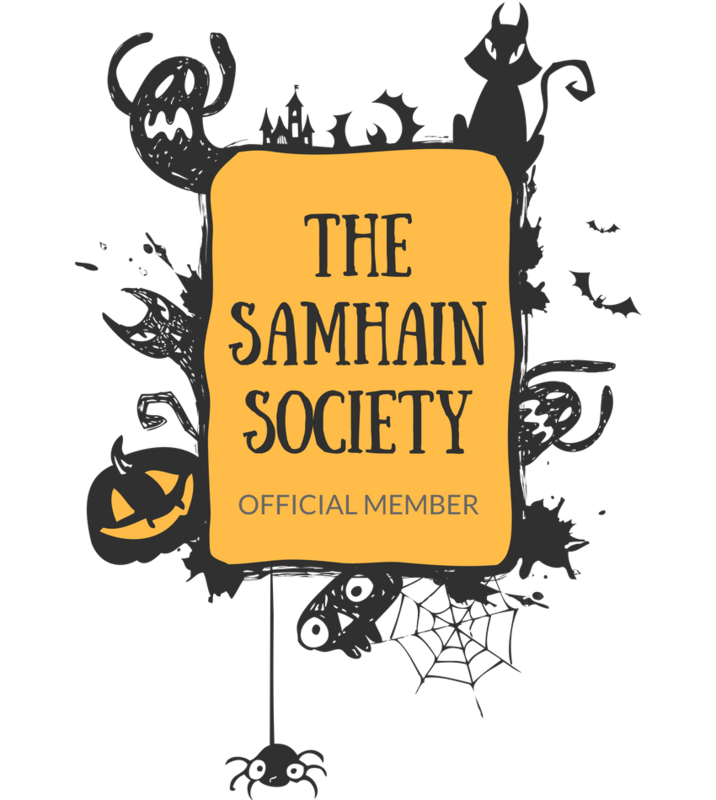 They carry other scents, of course, along with apothecary skin care and other aromatic elixirs. LVX Nail Lacquer Polish in Livid - Everyone needs one good black polish, and this luxurious lacquer is my fave since it is a gorgeous smoky black, goes on smooth, and lasts for days. It's cruelty-free and vegan, too. 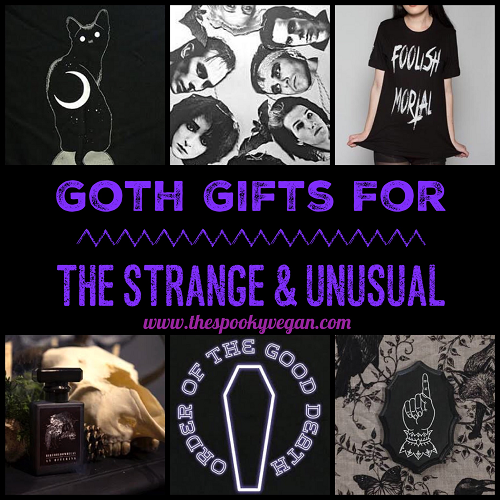 For more ideas, you can check out last year's gift guide HERE! 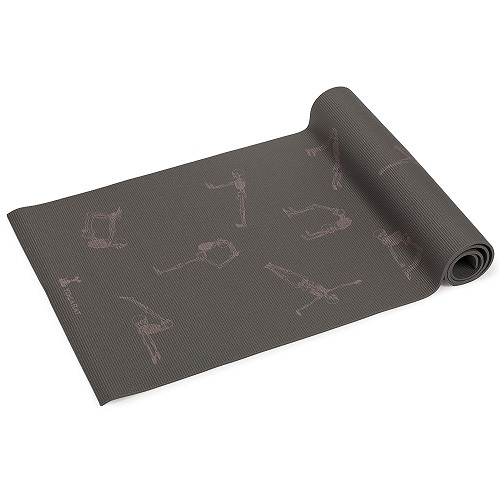 Not seeing the skeleton yoga mat on that link. They have one that says "believe" - gag. The framed spider web is beautiful. Love these! I have to have that web.